Knowledge management (KM) software supports and promotes an integrated approach to identifying, capturing, evaluating, retrieving, and sharing information assets, with a strong focus on "how"—how to accomplish a task, handle a situation, and get your job done. Assets managed by knowledge management software include text documents, images, audio and video files, and other data types. Knowledge management is the process of capturing, distributing, and effectively using knowledge, and making an organization's data and information available to the members of the organization, and its partners and customers. Provide a preconfigured open environment for users to comment, share, and reference the supported file types. Knowledge Management reviews by real, verified users. Find unbiased ratings on user satisfaction, features, and price based on the most reviews available anywhere. Stack Overflow for Teams is a private, secure Q&A platform that mimics the way people naturally think about, share, and find information. When it comes to knowledge management, you don’t need more information, you need the right information. Stack Overflow’s Q&A format makes it easy to quickly find and share bite-sized information without having to dig through stale wikis and lost emails. Stack Overflow for Teams is a private, secure home for your organization's questions and answers. No more digging through stale wikis and lost emails—give your team back the time it needs to build better products. 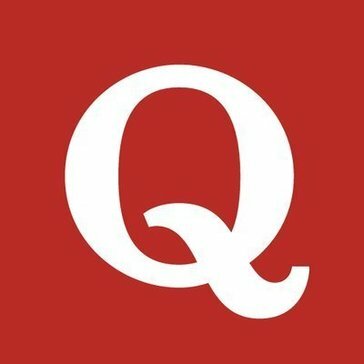 Quora is a Q&A platform that empowers people to share and grow the world's knowledge. Workplaces should be extraordinary. So we're doing something about it. Meet our People Engagement® platform—a complete, intuitive intranet. We help you improve employee engagement, express your culture, and make communication happen. That’s what extraordinary workplaces are all about. eXo Platform is an open-source digital collaboration platform designed for enterprises that helps your internal teams and ecosystem connect, interact, collaborate, and get things done faster. It is full-featured, based on standards, extensible and has an amazing design. eXo Platform is a flexible solution built for all your evolving digital workplace needs with rich collaboration features such as wikis, forums, calendars and documents are smartly integrated around activity streams, social networking and workspaces. It is carefully designed to instantly engage users. It runs within the trusted security of an enterprise platform and is highly customizable to adapt when your needs evolve. eXo Platform is also ideal for building an online community of customers, partners or fans. You can provide them with discussion forums, collaborative FAQs and polls. Build topic-oriented sub-communities or workgroups using spaces. Engage with your members via social networking. Send them email notifications to keep them coming back. Promote your products or services through the built-in web content management capabilities. Drive traffic and boost sign-ups with 1-click registration using social media integration. SaaS-based SABIO gets the most out of your organization’s knowledge because it’s easy to use, deploy, and administer. SABIO wraps a beautiful interface around a fully-featured solution — with CRM and ticketing app integrations and an API. Find out how powerful easy can be. Zendesk Guide is a smart knowledge base that helps tap into that institutional knowledge and puts it to work. With Guide, you can quickly build a customizable help center, online community, and customer service portal so customers get better self-service and agents see improved efficiency and faster resolution. And since it's the only knowledge base native to Zendesk, it integrates seamlessly with Zendesk Support. Notion is a unified workspace for teams. Use ScreenSteps when you want to replace Word, SharePoint, and Dropbox, to manage IT training documentation. As companies move to the cloud, IT departments need to provide training documentation that is easily accessible and simple to read. Libraries that organize Word docs aren't searchable. And if users can't find helpful documentation when they have questions, your new system won't be used the way it was designed (and you'll get a lot of phone calls and emails asking for help). Customers who use ScreenSteps see a drop in support calls/emails because users are able to help themselves while learning the new technology. ScreenSteps is an online knowledge base that your end users can search via keywords (like Google), or browse by category. It replaces internal SharePoint libraries and Dropbox folders (which aren't searchable). A great solution if you want to consolidate IT training docs that are scattered all over the office. With ScreenSteps, your users will go to one online portal to find answers to their IT related questions. And instead of downloading a PDF or Word doc, they will view your IT training docs in a professional looking web page. Implementing ScreenSteps is also very straightforward--it only takes a few hours to set up (not weeks or months). The user knowledge base is Mobile friendly, and all of your content can also be exported to PDF manuals. ScreenSteps comes with a desktop word processor for authoring visual training aids, and replaces authoring tools like Word, Paint, PowerPoint, and InDesign. The word processor is specifically designed for inserting and editing several screenshots into your IT training documentation. Because it's so easy to author in, you can get more people to contribute to your knowledge base in a lot less time. If you just invested hundreds of thousands of dollars (or millions of dollars) on a new CRM, Financial system, or a custom app, make sure you have training docs to help users learn how it works. With ScreenSteps, you will give them professional looking documentation that's easy to find and simple to use. Obie intelligently and rapidly integrates knowledge and documentation into one spot. Obie is the fastest way for sales and support teams to find what they need so they can focus less on finding information and more on closing deals and tickets. Magentrix PRM accelerates revenue, saves time and reduces costs for your channel partner program. With a complete and fully integrated technology platform, it has everything you need for end to end partner management. Seamlessly integrated with Salesforce CRM and fully configurable, Magentrix PRM lets your channel team engage partners and collaborate in new ways to increase productivity, improve partner satisfaction and close deals faster. PRM is all about building relationships and community, not just tracking transactions. That's why we designed Magentrix PRM with built-in collaboration features. Magentrix PRM redefines collaboration by connecting channel team and partner communication, engagement and learning in one secure community. It's more than just messaging. Magentrix Collaboration brings familiar tools for real-time and asynchronous communication to every aspect of the PRM cycle. Whether it's a data record, a document or file, or a content article, Magentrix lets your channel team easily communicate with each other and with partners in context. Magentrix PRM Communities are mobile-friendly, brandable and pre-configured with social collaboration, file storage and sharing, blogs, knowledge bases, forums, help ticketing, ideas, eLearning LMS, and dashboards so you can launch in a few weeks. Take your partner program to a new level with a cost-effective solution for lead sharing and registration, opportunity collaboration, sales enablement, document and content management, training and certification, MDF, support and more. Enablix helps small and mid-sized companies with their sales enablement and content management needs. With Enablix, marketing can enable sales with relevant collateral through the sales process. And the sales team has access to all the right content when they need it improving sales productivity and efficiency. As a marketer, are you struggling to, - organize and manage content across multiple digital platforms? - share trusted and relevant content with sales and keep sales on message? - keep up with redundant content requests from your sales colleagues? - gain visibility into sales content adoption and engagement? Companies continue to invest in content to help drive leads and close sales. However, in the absence of the right processes and tools, the ROI on these content assets continues to be low. And enabling sales with content is a huge efficiency drain on the marketing team. With Enablix, marketers can, - efficiently manage all trusted content from a central place. - provide sales with a single source of the truth. - say goodbye to content requests and get back time in your day. - have visibility into sales content adoption and engagement. - make data-driven decisions on future content investments. Glasscubes is web-based software that gives teams a strategic and effective way to collaborate, share and store information in the cloud. Private online storage and content control give users easy access to their own documents and other information, regardless of the devices they’re using. Glasscubes is often used by professional groups that are looking for central, secure locations to save and share files. The platform is especially flexible, as there are no restrictions on the types of files that users can store and no limit on individual file sizes. Files can be uploaded in bulk or emailed into the cloud on an individual basis. Not only does Glasscubes prevent team members from working on different versions of the same file simultaneously, which can have disastrous results, but it promotes collaboration and teamwork with internal messaging features and activity feeds for teams. Because the app encourages social interactions, it is ideally suited for businesses that want to improve community and increase productivity. Secure File Storage Teams now enjoy far greater security when they store files in the cloud than when they store them on desktops or company servers. Glasscubes provides secure cloud storage to its users, with no limits on file sizes or restrictions on the types of documents that users can upload. Team Collaboration Email has been replaced. For teams that work at lightning speed, instant chat and activity feeds are much more effective ways to communicate. Glasscubes’ team collaboration software allows users to post relevant communication publicly, so all of their colleagues can see and respond in real-time. Task & Project Management The time it takes to complete projects decreases when people have all the required resources at hand. Glasscubes has been designed to support growing teams, with comprehensive task management, file sharing, and scheduling tools. All of these tools are accessible from a centralized online dashboard. Intranet & Extranet Functionality Glasscubes serves as a cloud-based alternative to traditional intranets and extranets. The software brings teams together inside shared workspaces, which encourages social interactions and boosts productivity. White-label solutions let companies customize their accounts, workspaces, and communication, as well. Zimbra is the leading provider of open source email collaboration software in the world. Zimbra provides governments, service providers, educational institutions and small/midsize enterprises with a low cost and customizable platform to securely exchange xemail, message, calendar, contact, file and task information from desktops, laptops and mobile devices. ServiceNow Knowledge Management captures knowledge from across the organization, and packages and makes it readily available for the shared use of employees. Work smarter, not harder, with a multi layered collaborative workspace that provides meetings, conversations, and content on demand. Moxtra makes teamwork easier and faster – whether your project lasts one hour or one year, with five people or fifty. It’s just that simple. And best of all, moxtra's suite of features can be embedded into any application. elium is a knowledge sharing platform that helps you capture, curate and communicate in the digital workplace. It is both a web SaaS & mobile solution. Our purpose is to help Knowledge blossom across corporate silos and connect people and knowledge. The platform enables seamless collaboration, avoiding duplication of effort thus engaging the communities, stimulating knowledge sharing and collective learning.Talent and knowledge flows transcend company & geographic boundaries. Capture Anywhere, Use It Everywhere- Sorc’d provides the most efficient and effective way to save, share and apply snippets of relevant content, creating smarter, more productive teams, flourishing thought leaders, and individuals who discover something new every day. Sorc’d empowers content creators to build stronger content, faster through a cloud-powered knowledge database of digestible snippets of relevant content, substantially decreasing research time and giving users more time to focus on what matters. Sorc’d seamlessly integrates with numerous content creation systems, such as Microsoft Office ( Word, Powerpoint, Excel, & Outlook) and Google Docs/Sheets. Twine is an intranet for the modern workplace. Bringing your people, content and ideas together in one place with apps such as a Knowledge Base, People Directory, Form Builder, Blogs, Groups and more. These play nicely with your existing systems too: sign-on using Okta and Active Directory, pull in files from Dropbox, Google and Box, and much more. It's all built on a modular basis, so you can pick and choose the features you need and start building your ideal digital workplace. Tettra is a simple wiki built for your team to organize and share the knowledge you need to get work done. Tettra was built to be simple, smart, and connected. We have integrations with lots of tools that teams rely on every day, including GSuite, GitHub, Zapier, Wistia, and more. Status Hero is a lightweight tool for tracking daily goals, activity logs from your tools, and status updates from your team, all in one place. Sync up your team, kill meetings, inform stakeholders, and quickly cut through all of the management noise. Here's how it works: 1) Status Hero prompts your teammates via email, SMS, or chatbot to provide a brief check-in of what they're up to. 2) Activity from tools like GitHub, Jira, and others is automatically added to the check-ins. 3) Status Hero compiles and broadcasts check-ins, goals, and activity to you and the team. Key Benefits: Cut Through the Project Management Noise Find out with a sentence or two from each team member whether everyone is working effectively towards specific goals. Correlate goals with real-time activity piped in from your team's tools. Eliminate Status & Stand-up Meetings "Can you hear me?" "Nope!" Something always seems to go wrong with all-hands multi-point meetings. Status Hero delivers all of the value of a status meeting without the wasted time, scheduling, or tech hassle. Connect Remote, Virtual, or Distributed Teams Status Hero collects and documents off-hour status updates that would otherwise get lost in emails, work tickets, or chat logs. Built-in Goals & Accountability Studies show that publicly sharing goals increases motivation and accomplishment. Take advantage of this positive feedback loop with Status Hero. Better Software Estimates When team members get into the rhythm of setting daily goals, they'll get better at setting expectations for their work. Then you'll get better at devising realistic software delivery estimates. Promote Transparency & Trust Trust is built when everyone understands how each team member contributes. More trust means quicker decisions, smoother collaboration, and ultimately a happier and more productive team. Founded in 2012, Videonitch provides companies the technology, tools and services needed to create on-demand, video-based learning channels and the customized assets that comprise them. What's more, Videonitch enables learning and development professionals to monitor employees to track their activities. Over 25 companies, including Staples, Fidelity, State Street, and Caterpillar, and hundreds of thousands of employees have already found that Videonitch is a better learning environment for today's increasingly global companies. Clibu lets you collect information in one place, access it from anywhere and share it with whoever you want. When you want to assemble information from various sources, but primarily from content you have found on the Web, you need a means to save it, identify it and easily access it at a later time. This is the beauty of Clibu - forget relying on all but useless Bookmarks, forget unconnected Word™ and HTML files. And what if you want to share & collaborate on your research project with colleagues, friends or family. Rely on Clibu to overcome the deficiencies and frustrations of inadequate alternatives and get on with using your time productively. Clibu works on Mac, Windows and Linux Desktop PC's, iOS and Android Tablets and Smartphones. Bonzai combines the best features of collaboration, productivity and engagement into a single digital workplace platform. The award-winning Bonzai platform is designed to drive business value without the complexity, cost and risk associated with outdated, custom-built intranet solutions. Bonzai is feature-rich, easy-to-use, flexible and 100% customizable for a stress-free intranet experience. Empower your teams and break down silos with powerful features like advanced intranet search, document management, employee directory. Connect, engage and share with everyone in your team and outside with features for content authoring and targeting, social networking and marketplace. With over 600K active users worldwide, Bonzai Intanet’s stress-free solution delivery and support backed by industry experts delivers a future-proof digital workplace experience in a matter of weeks. Clarity is a community where experts will answer questions about different digital marketing related topics. Happeo is the only all-in-one social and collaborative intranet platform, specifically designed for mid-sized and large businesses that work with Google's G Suite. The platform brings together intranet, collaboration and social networking into one unified solution, and is used by more than 300k users worldwide to unlock the value of employee engagement. Happeo is award-winning for its user-friendliness, best workplace integrations, and ease of implementation. Watch the full demo video or start a free trial! Help Customers Successfully Use Your Product. Educate your users with a super simple knowledge base that’s built for teams just like yours. KBPublisher is a knowledge management software which allows to share information with customers, employees or partners. Auros is the leading Knowledge Aware software and service provider. Our software captures essential knowledge from best practices, employee knowledge, lessons learned, methods, requirements, standards, and techniques, breaks it down into modular bite-sized pieces, and delivers it when and where it’s needed. As a result, technical decision-making and analysis is positively influenced - saving the organization resources and time. Knowledge is a powerful asset that companies are not effectively leveraging, because it often goes unused. It’s held in passive documents that sit lost in different locations, spread out over countless different silos. Auros replaces the traditional, passive libraries with Active Knowledge – delivering only the precise information when and where it’s needed. BoostHQ is the leading knowledgebase that allows companies to create, share, and index their organization's knowledge. Available on both web and mobile, employees can easily access and contribute information to the platform on the go. BoostHQ integrates with the business tools and supports the file types you already use (documents, cloud storage tools, online articles, videos and web links). Schedule a demo to see how BoostHQ can work for your team. Nuclino offers an easy way to organize and share knowledge in teams. Users can create real-time collaborative documents and connect them instantly like a wiki. Use the tree, board, and graph view to explore and organize your knowledge visually. It's great for meeting notes, product requirements, docs, decisions, and more. Some notable features include a WYSIWYG collaborative real-time editor and the visual representation of a team's knowledge in a graph. OpenText™ Business Network is a set of solutions within Enterprise Information Management (EIM) that facilitate efficient, secure, and compliant exchange of information inside and outside of organizations. Traditional information exchange practices have long consisted of an ad hoc arrangement of fragmented systems that don’t talk to each other, increasing business costs and security risks while slowing down transactions. With business globalization, the need for greater supply chain visibility combined with increased regulatory pressure and the advent of cloud computing, means organizations are rethinking the way they exchange information, internally and with external business partners. OpenText Business Network delivers a comprehensive product set that accelerates time to transaction. It integrates messaging and B2B Integration services such as secure mail, large file transfer, fax and EDI within a single platform – enabling any-to-any transactions. Cloud or on-premises, Business Network enables businesses to accelerate and control how information is delivered – increasing the security and reliability of sensitive or complex communications. Our global presence ensures you can connect with customers and suppliers everywhere, including China, Brazil and Australia. Organizations can now execute transactions quickly, easily and with a higher level of confidence. Business Network is redefining enterprise conversations by extending governance best practices across channels to ensure compliance and removing barriers by accelerating information sharing. Why Use Knowledge Management Software? Who Uses Knowledge Management Software? Knowledge management tools are used by companies that wish to make the most of their employees’ varying levels of skill and experience. The software provides a common gathering place for teammates and remote coworkers to benefit from processes and workflows that have been documented, such as onboarding documents, frequently asked questions, and more. These tools are especially helpful when onboarding new employees and as well as when saying goodbye to veteran employees. No one likes repetition, and knowledge management tools keep the old to inform the new. They help keep large teams on the same page, decreasing the chances of misinformation and easily avoidable errors. Knowledge management software has both internal and external use cases. Some companies use knowledge management software as an internal database for employees to reference. Other businesses will use knowledge management software as an external reference for customers. Retain Information — Knowledge management solutions are often used to onboard new employees. Administrators and HR coordinators can keep training presentations, printable document files, dress code and conduct handbooks, and more in folders that are accessible by members of the company. This decreases the frequency with which employees reach out to ask questions such as which holidays they receive off and just how casual are casual Fridays. In the same vein, long-term employees who retire or move on to their next opportunity don’t take all of their knowledge with them. The questions they’ve answered and the files they’ve uploaded remain accessible within the tool until an administrator deems them outdated or unnecessary. This is especially helpful for companies with unique processes that rely on informed employees to help troubleshoot and solve problems. With a knowledge management tool, the expertise remains with the organization. Efficiency — Organized, documented knowledge means less time spent asking and answering questions and more time working on the tasks or projects at hand. With so much company information available digitally, employees spend less time having coworkers walk them through explanations manually. With open forums and FAQ pages, those in need have an abundance of eyes on their questions. More people having access to a question means a faster response time, as well as more voices to weigh in on a solution. Users can upload documents and files to the knowledge management solution straight from their file storage or digital asset management accounts. Integration with these types of software products increases efficiency because users don’t have to perform the processes manually. Users can also tag coworkers within comments on files or generate a link to send others straight to a document they need to see. This saves the time spent searching through information, allowing users to find and bookmark files quickly, keeping them for future reference. Customer Service — An FAQ is named such because customers typically have the same questions about a company or product. A knowledge management system can serve as an easy customer service tool where customers can look up frequently asked questions or how-tos on a company’s website. This method of customer service can prove to be much cheaper than a help desk and can drive down call traffic. Task Management — Knowledge management tools help users figure out how to reach goals, and some do so with specific task management features. Although task management software is a category all its own, it is also a functionality that lies within multiple other types of software. Many knowledge management tools have features that can provide transparency into project or task completion. Tagging features within documents allows users to pass files or documents on to those whose attention they require. Businesses from across the spectrum utilize knowledge management software to organize their internal practices and external knowledge bases. Onboarding Employees — Knowledge management software is also helpful in the process of onboarding and training new employees. Instead of taking hours out of the day to respond to every new thought and question that arises, new employees can look to knowledge management software for answers. They can search within the tool to see if the information they seek has been documented before. This encourages an environment where employees seek answers first and ask questions later. Veteran Employees — Knowledge management software helps companies retain information that valued employees, managers, and other company members have developed and recorded over time. This is useful for businesses that don’t want to lose or misplace knowledge when an employee inevitably moves on to another company or to a role within the same company. Information can be archived so even old, outdated information can be stored for future reference. Customers — Customers with questions about a product or service will often turn to a company’s website for a knowledge base on their offering. This knowledge base can be built by the company themselves or with additional insight from other customers. Customer insight is crucial since they share the same perspective and can provide other customers with advice with that perspective in mind. Knowledge management tools can look very different based on their intended use case. Those meant for internal use will offer a different set of features compared to those intended for external use. However, at their core, these tools are essentially the same in how they create, store, and look for content. Internal Knowledge Base — The most common usage for a knowledge management system is for internal information and practices. Internal knowledge bases will often require a login from a company email or from an email given express access to the knowledge base. Companies will use knowledge management systems to archive repetitive tasks, business practices, and company information. External Knowledge Base — External knowledge management systems are often hosted on a company’s website or on a separate website solely devoted to the knowledge base. Unlike internal knowledge management tools, these usually don’t require a login. While some knowledge bases are curated solely by the company itself, some will allow users to post tips or answer questions other users have. This creates a knowledge base the average consumer can contribute to, engaging them with the product in unexpected ways. Hybrid Knowledge Base — While most knowledge management systems can be used internally or externally at a company’s discretion, some products host both and intentionally provide different functions for each type. These products are dual-sided, with one set of features for internal use and another for external use. This makes for one cohesive knowledge base solution, both internal and external, hosted through one application. Q and A — Provides forums where employees of various levels can share expertise and processes. Searchable — Incorporates a search bar to help navigate users to appropriate content. Public vs Private — Offers the choice to make a conversation private between specified contributors or open to the public. File Viewing — Stores and readies various file types for viewing. Tagging — Allows users to tag one another in file data or comments for easier search and referencing. Upload — Lets users upload documents, photos, and various other file types from their personal devices for greater knowledge sharing. Link Sharing — Lets users direct one another via customized links, foregoing a lengthy search process. Comments — Allows users to leave notes or comments on various file types for eventual reference. Business Content Management — Business content management software will often integrate with knowledge management systems, allowing users to pull documents or assets from a BCM and attach the documentation in the knowledge base. This creates a fluid process of knowledge gathering and document acquisition for employees. Enterprise Content Management — Enterprise content management (ECM) software integrates with knowledge management systems in the same way that business content management software does. Knowledge management tools will allows users to link back to or attach content from an ECM so documents mentioned in the knowledge base can be quickly pulled up. Customer Self-Service — Some customer self-service software include the same features of a knowledge management system. Customer self-service tools are more varied, but many knowledge management tools geared toward external uses will also be labeled customer self-service. Hi there! Can I help you find the best Knowledge Management solutions?